(Q24N, via Fusion.net) Predicting the future in Latin America is a bit like trying to hit a knuckleball. It involves more luck than skill. And even if you choke up on the bat, it’s still easy to overswing and look foolish. But here’s the thing. Year-end tradition demands that journalists write either an old year-in-review article or a new year-in-preview article. And there’s nothing more exhausting than a review of 2016. You either paid attention to the news and you know this stuff already, or you didn’t and you don’t. Either way, 2017 is minutes away, so let’s talk about what happens next. Let’s start with Central America, because someone has to. Mexico dominated Donald Trump’s immigration fearmongering during the campaign, but the northern triangle of Central America stands to suffer the most if this guy actually follows through on his promises of mass deportation. If Trump really plans to “immediately deport” upwards of 3 million undocumented immigrants, he could only get those numbers by targeting the lowest-hanging fruit: Central Americans. That type of mass removal would have devastating consequences on the small and vulnerable countries like El Salvador, which has the size and population of Massachusetts and a crack-like dependence on U.S. remittances. If Trump were to deport 30,000 Mexicans his first week in office, it would make headlines but probably wouldn’t disrupt a country the size of Mexico. But if Trump were to deport 30,000 Salvadorans in his first week in office, the consequences would be devastating—not only on El Salvador but the entire region. “If Trump deports 10,000 Salvadorans when he takes office, the next week there will be 20,000 more Salvadorans emigrating to the United States,” former FMLN guerrilla leader Guadalupe Martinez told me. Needless to say, El Salvador could end up being one of the biggest stories in Latin America next year—and that’s one prediction I hope I’m 100% wrong about. Next there’s Nicaragua. The country has remained relatively stable in recent years (I just head all my Nicaraguan friends groan—bear with me), but a lot of the country’s economic growth has been subsidized thanks to the largess of benefactors who are no longer writing checks. In general, things don’t usually end well for Daniel Ortega’s patrons: the Soviet Union collapsed, Muammar Gaddafi was beaten to the death in the street, and Venezuela has become the poorest rich kid in the hemisphere. Ortega’s most recent benefactor, Chinese billionaire Wang Jing, was named by Bloomberg as one of the biggest losers of 2015 when his net worth plummeted by 84% shortly after befriending Nicaragua’s president and promising to build him a canal. All of this is a long way of saying that Ortega is back on the market looking for rich friends. And after striking out with Iran, Ortega is working to rekindle his old ’80s fling with Russia. Vladimir Putin, who is more than happy to relive the glorious days Russian reach and relevance in the Americas, has agreed to help the Sandinista government rearm itself with tanks and other weaponry. 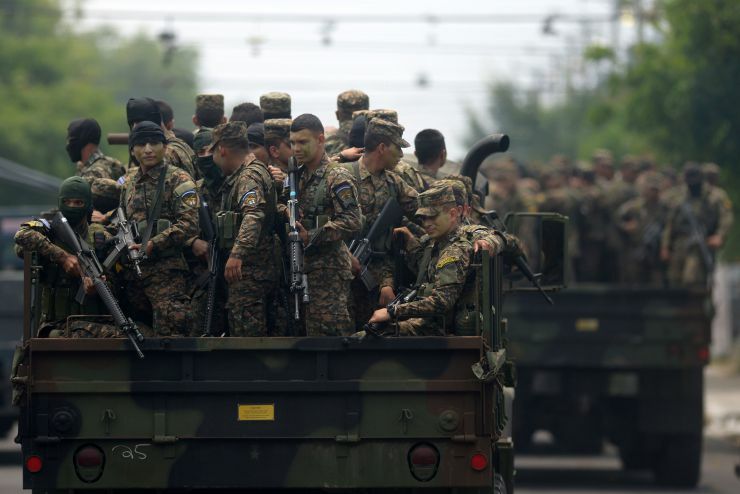 Why Nicaragua thinks it needs 50 Russian tanks is anyone’s guess. But it’s not helping to ease old suspicions in Central America or calm the fears among old Cold War hawks in Washington, DC. Trump is clearly no Reagan. The U.S. president-elect is an even bigger apologist for Putin than Ortega is. 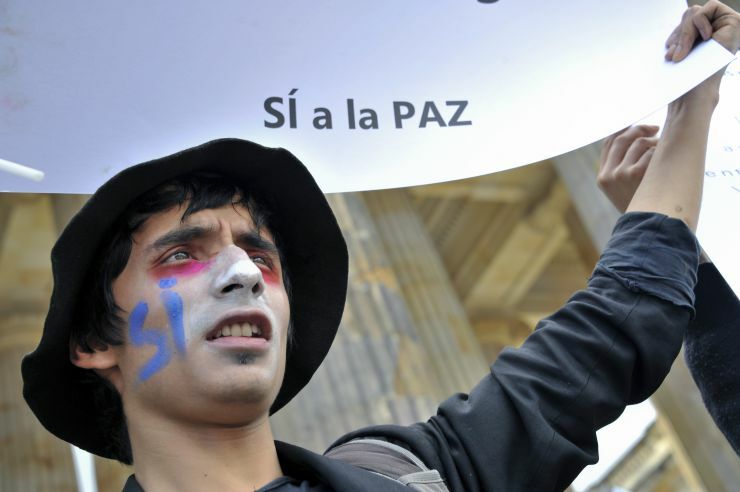 But as Moscow continues to arm its old Sandinista tovarishch and flex its muscles in an region that Washington hardliners have long considered “America’s backyard,” Nicaragua could start to make some new headlines that read like the old ones. Costa Rica is another country that’s going through a slow boil—one that could start to rattle the pot lid in 2017. 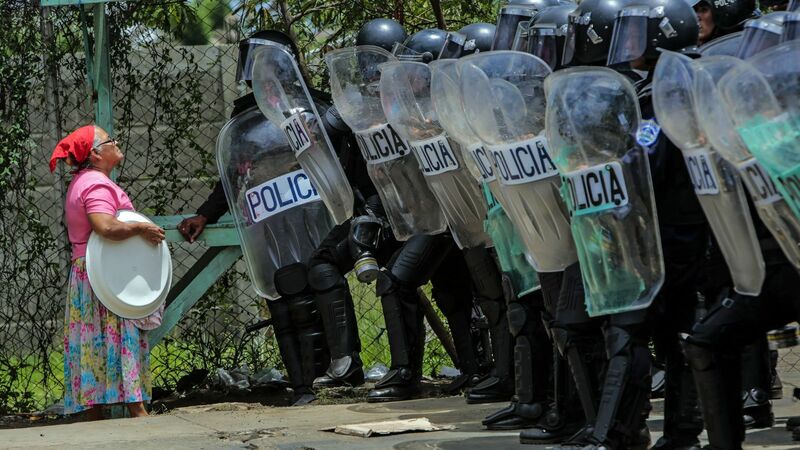 Nicaragua’s borders remain closed to immigrants, which has led to a flourishing human-smuggling network, but it’s also worsened the refugee crisis for Costa Rica. The Ticos and their government have been remarkably hospitable and handled the humanitarian crisis to the best of their abilities. But Costa Rican President Luis Guillermo Solis told me in a recent interview that his country’s patience is running out and border residents are starting to feel displaced by refugees. The arrival of Trump could worsen the situation in two ways. The first scenario is that Trump’s unexpected win leads to a new surge of immigrants and refugees trying to make a last-minute border run before the new president makes it harder to get in the U.S. The second scenario is that Trump is viewed as such an unfriendly deterrent to immigration that the thousands of Haitians and Africans currently stuck in Costa Rica decide to stay put rather than risk deportation from the U.S. After all, there are much worse places in the world to resettle than Costa Rica. (Xaaladu waa Caadi is Somali for pura vida! )The situation is a pressure cooker for Costa Rica, a relatively homogenous society. Once an immigrant community starts to put down roots, it can grow fast. Solis says he doesn’t want Costa Rica to become the refugees’ “Plan B” country. But 2017 might be the year that happens, whether Costa Rica is ready or not. On to South America, where drunkenly staggering Venezuela has the potential to cause serious problems for the entire region. With hyperinflation threatening to deliver a deathblow to the country’s ruinous economy, and an unpredictable and incompetent buffoon at the helm of the government, watch for Venezuela to be the main story coming out of South America next year. If past behavior offers any clues about what’s to come, expect Maduro’s socialist regime to cling to power by any means necessary. Maduro feels the weight of history on his shoulders. He doesn’t want to betray the revolution he was entrusted to continue. 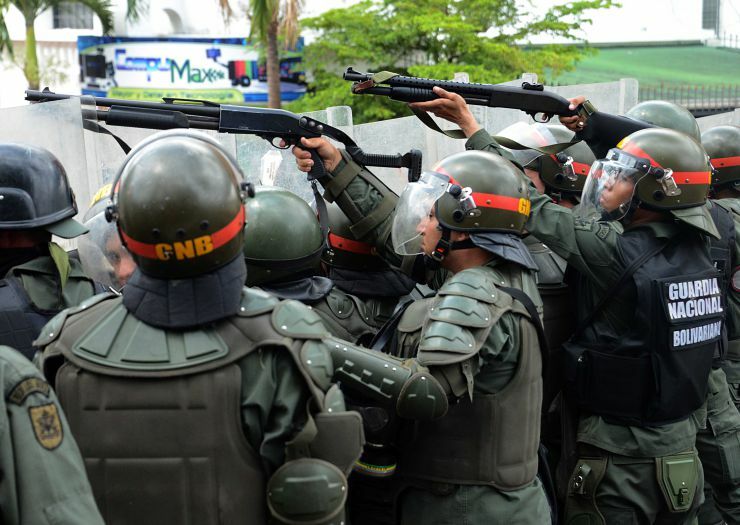 That desperation could lead to violent repression, or maybe even a palace coup by hardline party leaders who don’t want to see Maduro destroy Chávez’s memory. The near future looks very grim for Venezuela. Bolivia is another coca-growing country that could make headlines next year, and also for the wrong reasons. President Evo Morales has led the country for more than a decade and doesn’t want to retire, even though most Bolivians think it’s time for him to go. Morales lost a referendum earlier this year where he asked voters if Bolivia should change its constitution to allow him a bid at an unprecedented fourth term in office. Undeterred by the people’s will, Morales is now playing with the idea of constitutional reforms that would allow him to run anyway—because indefinite reelection has never caused any problems in Latin America before (that’s sarcasm, in case 2016 has dulled your senses to the point where you aren’t sure anymore). Then there’s Brazil, the former powerhouse that has fallen so far from grace that it’s economy is only expected to grow by 0.5% next year, despite some of the craziest austerity measures ever devised. At this point, Brazil is happy with any signs of forward motion, after the economy contracted by 3.5% this year.Watch for more protests as discontent grows over the economy and corruption scandals. Brazil does not yet appear to be on the road to recovery, and 2017 will likely bring more turmoil for Latin America’s largest country. 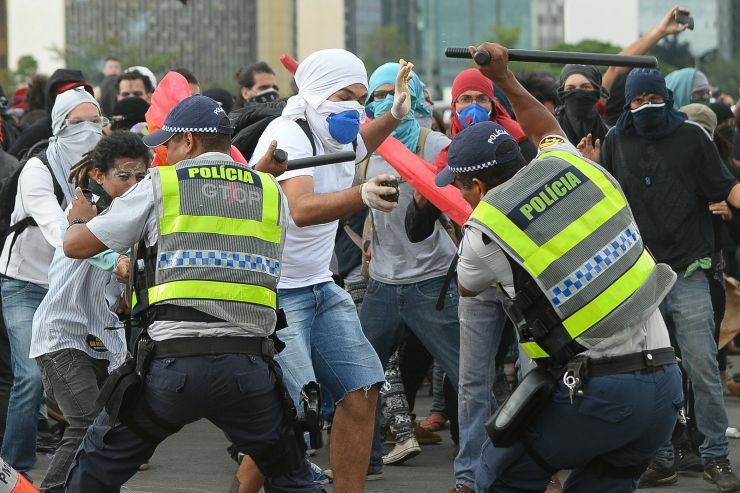 Brazilian police battle with protesters angry about the country’s austerity measures. The New Year will also bring new uncertainty for Cuba, as Trump threatens to trip up the normalization of relations with the United States. At a time when Fidel Castro’s death would seem to mark the end of an old era, the arrival of Trump could mark the start of another old one.While it’s unclear what Trump has in mind (other than that voice that keeps saying: must tweet, must tweet! ), it will be interesting to see if tourism and the increase of people-to-people connections between the U.S. and the Cuba are able to offset an expected political chill. Last but not least is Mexico, a country that Trump couldn’t shut up about during his campaign and now seems to have forgotten since winning the Electoral College vote. Mexico’s relationship with the U.S. under Trump will dominate headlines next year. Analysts expect there will be a push to renegotiate the North American Free Trade Agreement (NAFTA), but warn that dismantling or modifying certain parts of the agreement could have serious repercussions for millions of jobs on both sides of the border, especially in the agricultural and manufacturing industries. It’s also unclear what will become of Trump’s loud campaign promise to build a “big beautiful wall” along the border. Trump’s team is reportedly scouting the border and evaluating the terrain, but some are already predicting that Trump’s “wall” will actually just be additional fencing, more border patrol agents, and employment of new technologies. Trump has also promised to build on Obama’s reputation as “deporter-in-chief” by ramping up the removal of immigrant “criminals,” although it’s not clear how he will define criminals. Some analysts expect Trump will crack down on legal immigration as well by further limiting visa program caps and imposing tougher requirements and controls. But Trump could also deliver some surprises by creating guest worker programs. The Mexican government, meanwhile, does not seem prepared to deal with a sudden massive influx of deportees, and doesn’t appear to be scrambling to get a plan in place for 2017. As a result, Mexican civil society and the private sector could end up shouldering the burden of resettling deportees and creating new jobs and technical education opportunities. 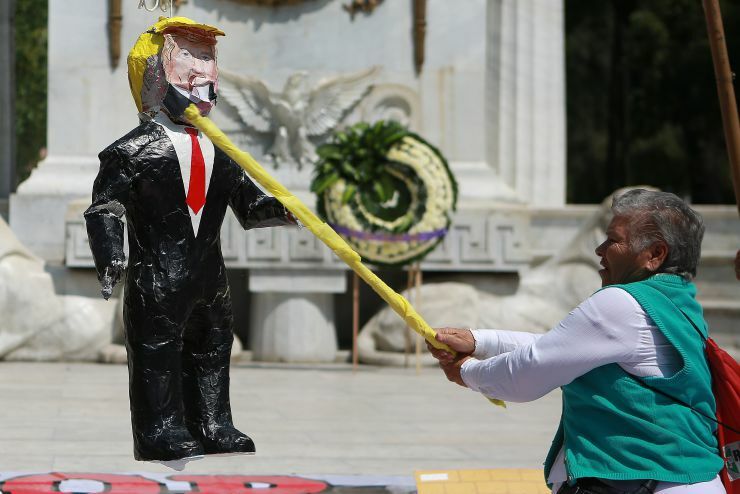 The Mexican government appears to be gambling on hopes that Trump will be more moderate once he’s in office. Mexico will lean on a handful of high-profile figures to be interlocutors with the new U.S. administration, including Mexican billionaire Carlos Slim and former Finance Minister Luis Videgaray, who is now rumored to be under consideration as new Minister of Foreign Affairs. Mexican security cooperation is also essential for the U.S. drug war and countering terrorist threats. So that’s also something Mexico can leverage. But dealing with Trump won’t just be about crafting foreign policy. The new U.S. president could also have a strong effect on Mexico’s internal political situation. President Peña Nieto has been criticized for his timid response to Trump so far, but with presidential elections coming in 2018, those in the ruling party could pressure him to take a stronger stance against the U.S. to avoid losing political ground to the emergence of new nationalistic candidates. Perennial presidential candidate and left-leaning politician Andres Manuel Lopez Obrador is already waiting in the wings to turn Peña Nieto’s mishandling of Trump into his political advantage. Trump could fan anti-yanqui sentiments in Mexico and force a bigger wedge between Mexico’s political class and voters demanding a tougher stance or—at the very least—a coherent strategy for dealing with the U.S. It could even lead to the consolidation of Mexico’s own nationalist figures who could use fears of the country’s depreciating currency, increasing petrol prices, international embarrassment, and widening economic gap to polarize the country and rise to power. If you’re still thirsty for old LatAm news from 2016, click here.